Daniel Padilla, "sure na" ang bisita sa "Three Words to Forever" set! 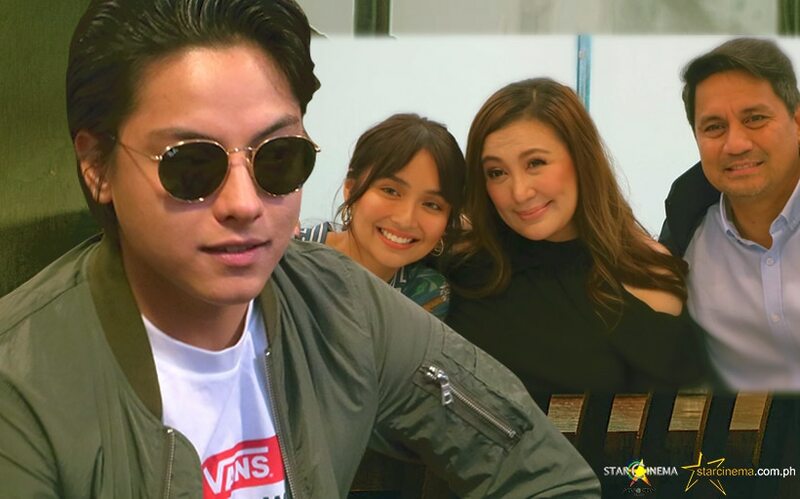 Daniel Padilla remains a strong support system for Kathryn Bernardo as she takes one of her first projects outside of their love team in seven years, the upcoming Cathy Garcia-Molina family drama "Three Words to Forever". "Nakaka-isang shooting pa lang daw sila. Siyempre naninibago siya na wala ako, kahit ako naman. Siyempre tinatawagan ko, pero 'yung mga kasama niya doon team din namin, sila Direk Cathy, same team talaga. So sabi ko sa kanya, imaginin mo na lang wala akong shooting today." He continued, "Pero siyempre nalulungkot pa rin siya, wala siyang maraming poging nakikita doon." When asked whether he will be visiting the "Three Words to Forever" set, Daniel's answer is a definite yes. He enthused, "'Yung pag punta ko, sure naman 'yun, wala akong kawala doon." "Three Words to Forever" will also star Sharon Cuneta and Richard Gomez. It is slated to hit cinemas very soon. KathNiel recently topbilled the smash hit "The Hows of Us", also helmed by Direk Cathy. It took the country by storm when it premiered in cinemas last August 29.